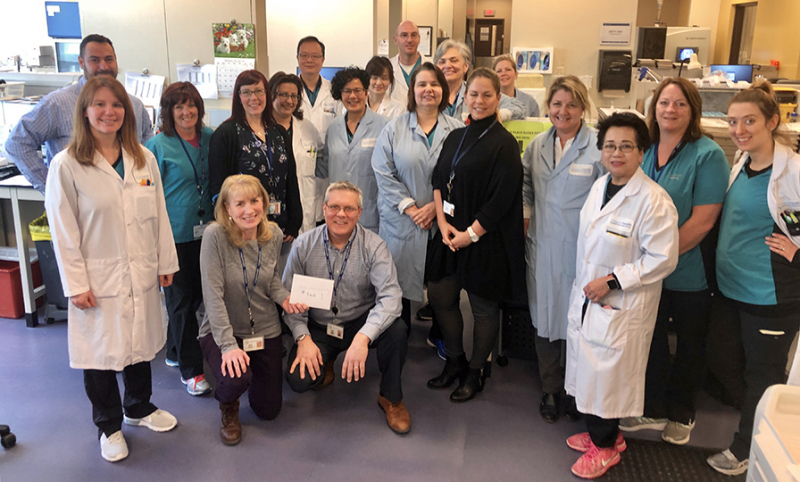 Hearing we were close to reaching 25,000 acts of kindness across Niagara Health inspired the St. Catharines Laboratory team to complete their Acts of Kindness Challenge. 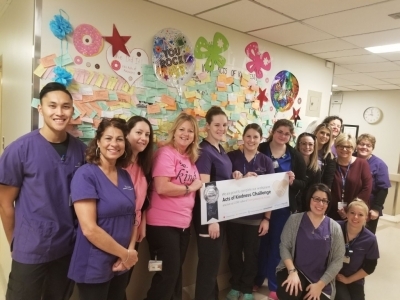 On March 22, the team proudly surpassed their goal of 1,000 acts of kindness, bringing our workplace total to an extraordinary 25,000. Administrative Assistants Kristin Biamonte and Cindy Moccio are coordinating the challenge for the department. 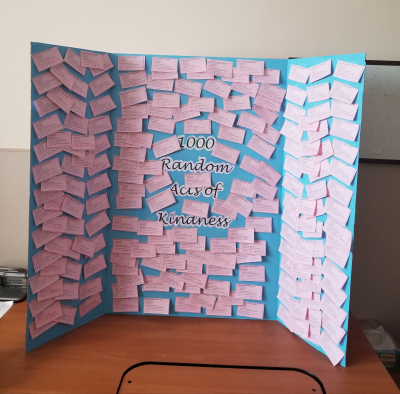 Kristin created a calendar of daily acts of kindness with compassionate acts that the team could perform. One of the daily challenges was to collect pocket change to cover the cost of parking for patients and visitors. They raised enough money to pay for parking for 14 patients. “When we paid for their [patients] parking, you could tell it made their day," said Kristin. “One patient said, 'I needed this so badly today.' Everyone around us was smiling," Cindy said. “It was such a small thing but had such a big impact." As word spread, more staff came forward wanting to contribute, including staff from other departments. Since then, they've raised $200 more to surprise patients and visitors with paid parking. “It feels good, so we want to keep this going," said Cindy. “Everyone is talking about it." 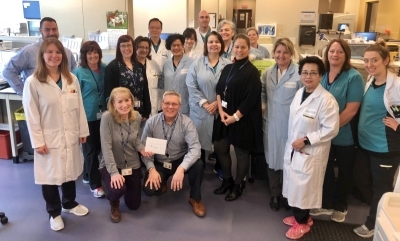 The team also donated money towards a homebuilding mission that St. Catharines Site Laboratory Manager Philip Guy and his family were participating in through Shelter Canada. “They contributed $560 out of their own pockets, plus bought baked goods to fund one of the homes we were building," said Philip. Other daily challenges include donating blood or registering as an organ donor – both causes close to their hearts. 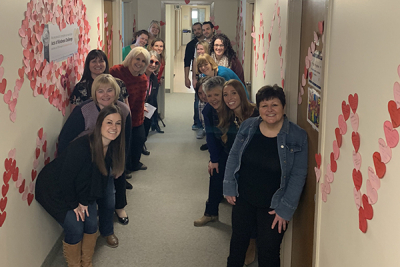 They are also recognizing simple acts of kindness, such as striking up conversation with people in the elevator, taking a little extra time to help a patient eat their meal and reaching out to help someone who is struggling. 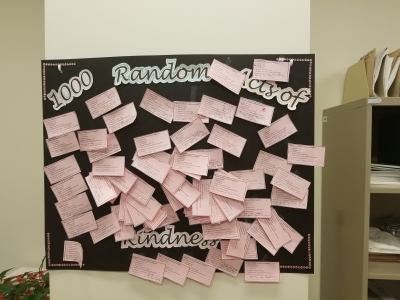 The team is tracking these random acts of kindness on colourful notecards they are displaying on their wall of kindness. 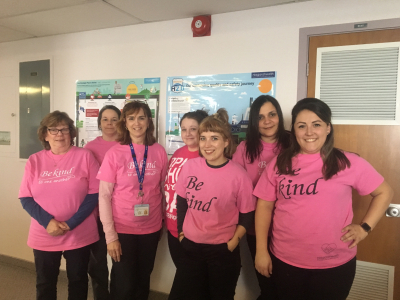 Their challenge began on February 25, close to Pink Shirt Day, a day to promote kindness and support for anti-bullying, and they have no plans of stopping. Other departments have contributed to reaching this significant milestone through their compassionate efforts, including our Welland Diagnostic Imaging, Welland Switchboard/Resource Centre, Central Diet Office and Clinical Nutrition teams across all sites. 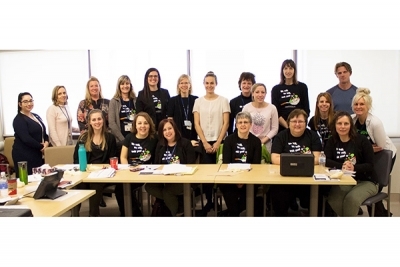 Our Welland Occupational Health and Safety team completed the challenge for the second time. So far, 28 departments have completed the challenge across all sites. 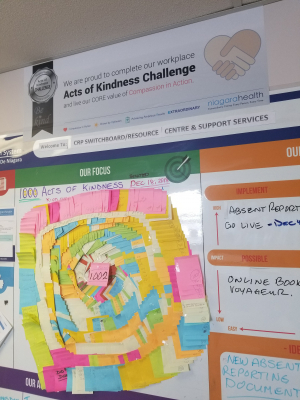 “The Acts of Kindness Challenge breathes life into our CORE values and reinforces the reason people have chosen to work for Niagara Health," said Workplace Relations Manager Sandy Traynor. “The acts of kindness aren't just things we do, they are an expression of our culture."